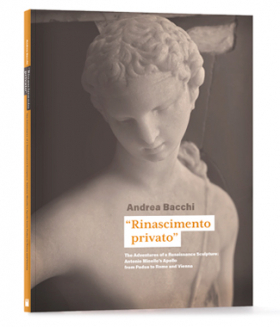 The art historian Andrea Bacchi eloquently outlines in this catalogue the unique and important provenance of the Apollo by Antonio Minello – a wonderful example of the Paduan Reinassance – on the occasion of its return onto the art market after a fifty-year absence. The artist was a favourite of the humanist Marcantonio Michiel; Minello’s sculptures after the antique were the perfect example of the world of splendour and erudite refinement that distinguished both the courts of the Este and the Gonzaga at the beginning of the 16th Century. Excellent in the quality of its execution, Minello’s marble relief, also enjoys a history that is worth rediscovering. 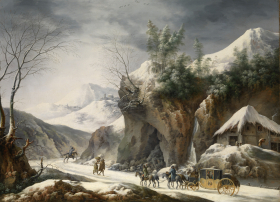 Having passed through the hands of the most prestigious art patrons of baroque Rome, at the end the 19th Century it became one of the highlights in count Stroganoff’s collection. It later enriched the important collection of Camillo Castiglioni in Trieste. The latter’s bankrupcy meant that the Apollo then passed into the hands of Giuseppe Sangiorgi, the owner of the most important art gallery in Rome at beginning of the 20th Century. A selection of works will be presented at the London Art Week Winter 2018. Having inherited a multisecular tradition, at the dawn of the 18th century Venetian civilisation dazzled in the visual and decorative arts, music and opera alike. 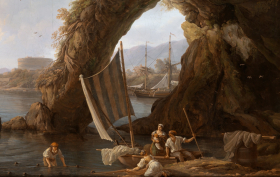 The presence of great talents, such as the painters Piazzetta and Giambattista Tiepolo, the urban landscape painter or vedutista Canaletto and the sculptors Corradini and Brustolon, to name but a few, allowed Venice to cultivate a unique aesthetic and sense of luxury. Music was kept very much alive through creations by composers such as Porpora, Hasse and Vivaldi, performed by world-famous singers, including the castrato Farinelli and the soprano Faustina Bordoni. In the Ospedali, poor or orphaned young girls received extensive musical education, and their virtuosity made them famous throughout Europe. In the city, during Carnival, drama and farce were everywhere, and the passion for gambling was given free reign at the ridotto. 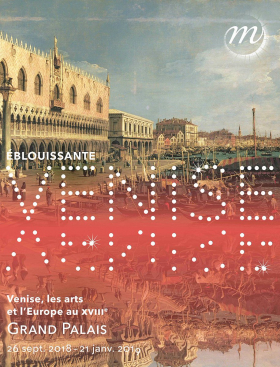 Exhibition organised by the Réunion des musées nationaux - Grand Palais, in collaboration with the Fondazione Musei Civici di Venezia, Venice where the exhibition will be presented after Paris (23 of February – 9 June 2019). With the collaboration of the National Superior Conservatory of Paris for Music and Dance, the Gérard Philipe and La Criée theatres in Saint-Denis and Marseille respectively, and the Pavillon Bosio, the Visual Arts School of Higher Learning of the City of Monaco, who joined in the happy combinations.